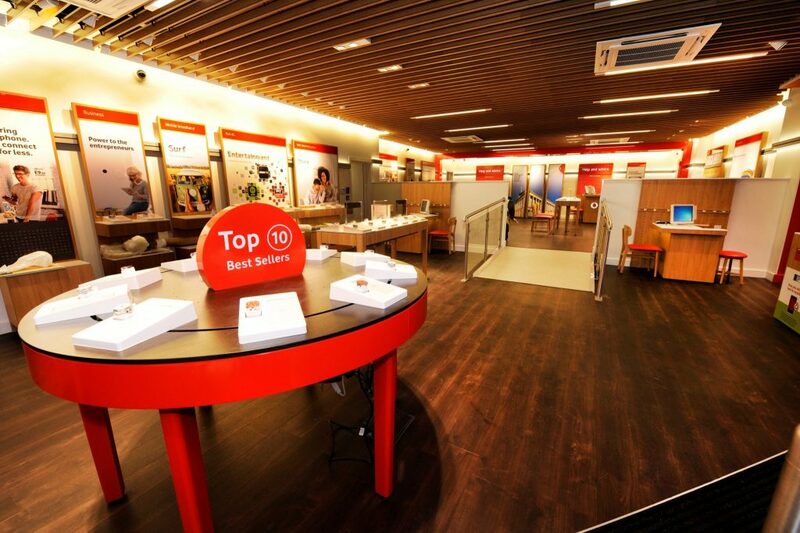 Polyflor’s SimpLay loose lay vinyl floor tiles helped add the finishing touches to a refurbished Vodafone store in Birmingham city centre recently. Suitable for retail and commercial environments, SimpLay tiles and planks have been developed for loose lay installation without the use of adhesive, so they can be fitted quickly with minimal downtime required. The SimpLay floor tiles were installed by flooring contractors AFB Flooring Solutions of Lancashire, for retail and commercial fit out specialists Audas Project Management who are refurbishing a number of Vodafone stores across the UK. The SimpLay collection of loose lay tiles features eight authentic wood planks designs, six natural stone tile effects and two weave pattern tiles. 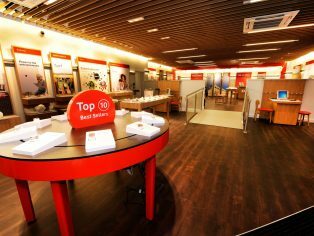 The Rich Walnut 2504 shade chosen for this Vodafone store perfectly complements the brand’s signature red and white colour scheme. With a 5mm gauge and 0.7mm wear layer, SimpLay loose lay tiles include a unique, non-skid honeycomb backing layer to ensure that the tiles stay in position and glass fibre reinforcement layer to enhance dimensional stability. Quick to install over many different types of floorcovering, individual SimpLay tiles can easily be replaced, relocated and reused, making them ideal for creating temporary installations and exhibition spaces. SimpLay flooring contains recycled content and is 100% recyclable through the Recofloor vinyl take back scheme. SimpLay samples can be ordered free of charge on the Polyflor website or by calling the Polyflor Samples Direct Hotline on 0161 767 2551.